I mean I really like cookies. Store-bought or homemade. With chocolate chips or without. Crunchy or chewy. It makes no difference. I like cookies. You know who doesn’t like cookies? Serial killers, that’s who. I know. Your first question is, “Hey Mike, how do you know serial killers don’t like cookies?” I’ll tell you how I know; simple deductive logic. Cookies are good. Okay, who am I kidding? 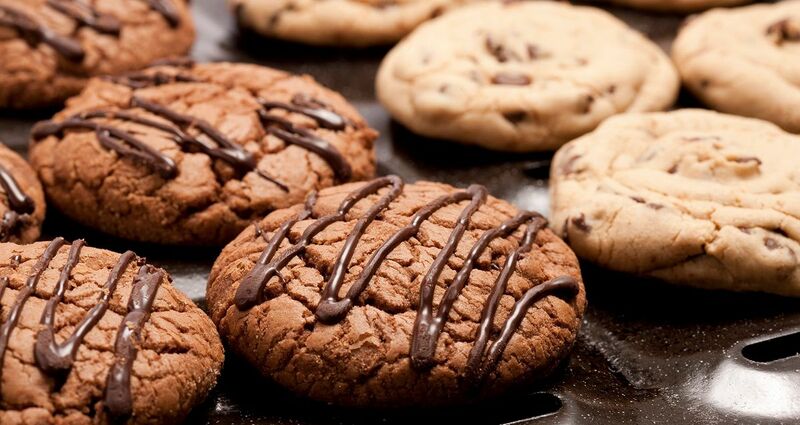 Cookies are the pure essence of good. And serial killers are evil. How can someone as evil as a serial killer be even remotely connected with something as good and pure as a cookie? So there you go. Case closed. Serial killers don’t like cookies. Hitler probably didn’t like cookies either. That’s just conjecture on my part, I’ll admit. But seriously, can you picture Adolph Hitler dunking an Oreo into a glass of milk? Me either. So, I’ve confessed my love of cookies. You know who else likes cookies? Our clients. And before you ask me how I know, I’ll tell you; empirical evidence. You see, every so often, my awesome wife will make a huge batch of cookies. Usually snickerdoodles and almond lace. Then we put these incredible cookies into really cool boxes and deliver them to randomly selected clients. We give away awesome, homemade cookies as a token of our appreciation for them being an IT Guys client. And the reaction is amazing. The cookies are gone in minutes. Everyone loves them. Not a serial killer in the bunch. Why do we get such a great reaction? Because it’s unexpected. There are no strings. We’re not selling anything. We’re not asking for anything. We’re just saying, “Thank you,” in a concrete (and delicious) manner. Now, our clients think we provide awesome service. And awesome service is part of the value exchange between us and our clients; they pay us money, we provide awesome service. We could make the argument that we’ve done our bit, everyone’s happy, and we don’t need to do anything else. And most businesses take that approach. But The IT Guys isn’t like “most businesses.” We want our clients to know how much we value them. That we appreciate them not just as a “business we do business with,” but as people we care about. And that’s outside the usual business value exchange. Sometimes just saying, “Thanks,” seems inadequate. So we give our clients cookies. And that message resonates profoundly. Cookies help our clients realize we care for them. As real people. Not just as a client. And the feeling is reciprocated. From the simple act of giving of our time. Clients of The IT Guys look at us as people too. And that’s amazing. So our relationship goes beyond one business transacting commerce with another business. It becomes people helping people. And as a family business, that’s a huge deal to us. And to our clients. Cookies are a metaphor for caring. So what has this got to do with you as a leader of an association or nonprofit? Maybe just a pause. A time to think, “How can we give cookies to our members?